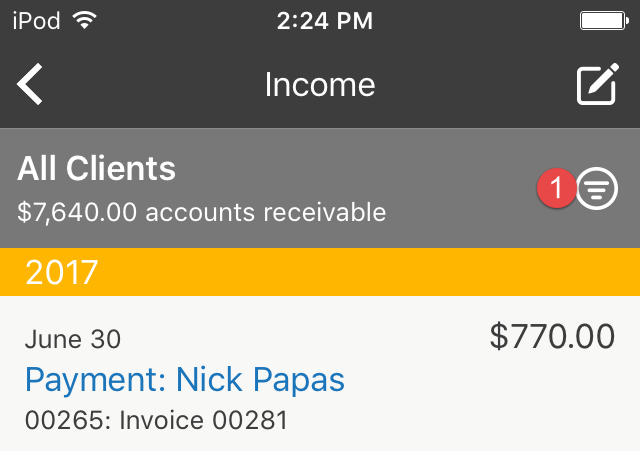 Learn how to use the Income section, including adding or updating clients on the iPhone app. 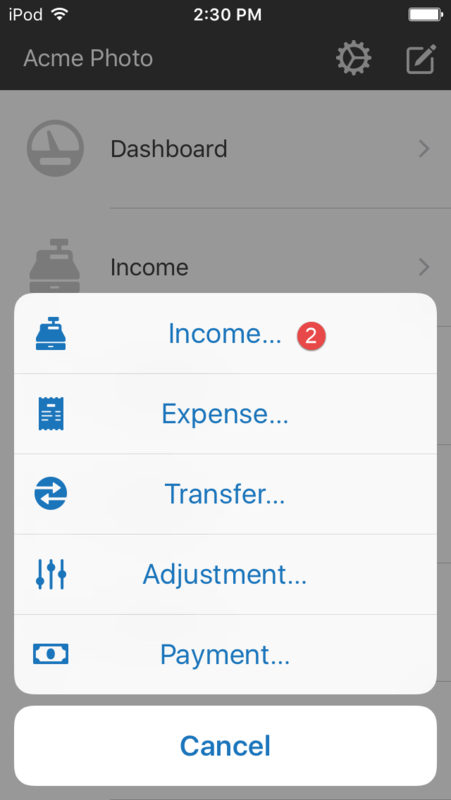 The Income section can be accessed by tapping on Income from the list view. The income section shows all the invoices you have issued to clients. 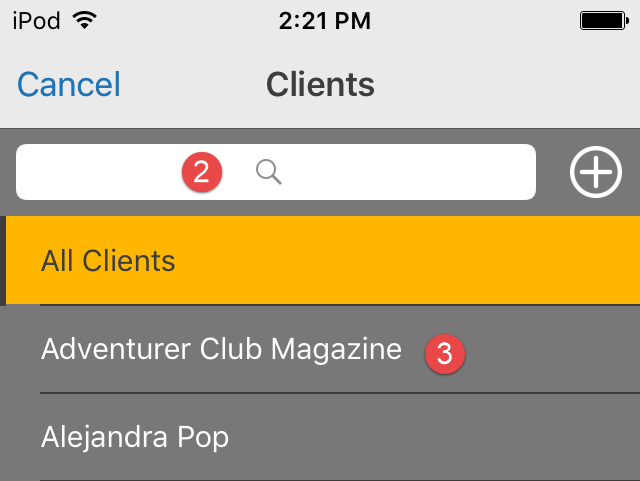 The initial view is All Clients. The quick entry method is great for income that you receive but don’t need to send out invoices for. One quick tip is that when you add a tax, you will have two instances of it show up. The first one will have a plus sign. In most scenarios, you will be selecting the plus tax. This just means that tax is being added on top of the price. The second one will have a minus sign. 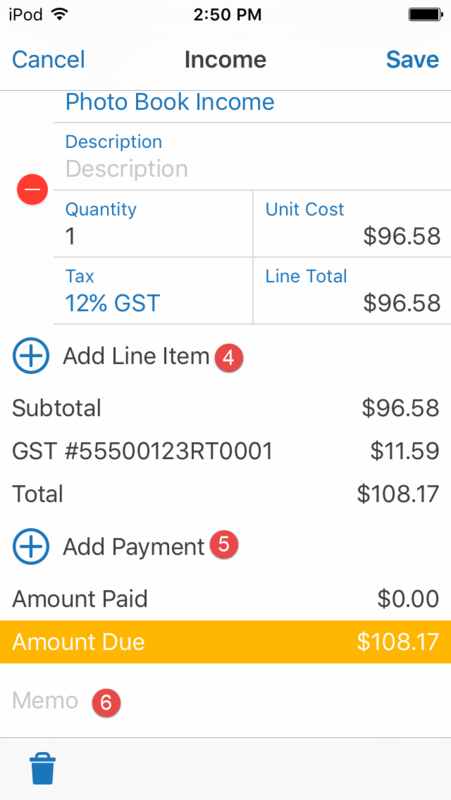 If you're selling something with the taxes included, you’d use the minus tax item and it will deduct the tax from the price to record the value of the sale correctly. 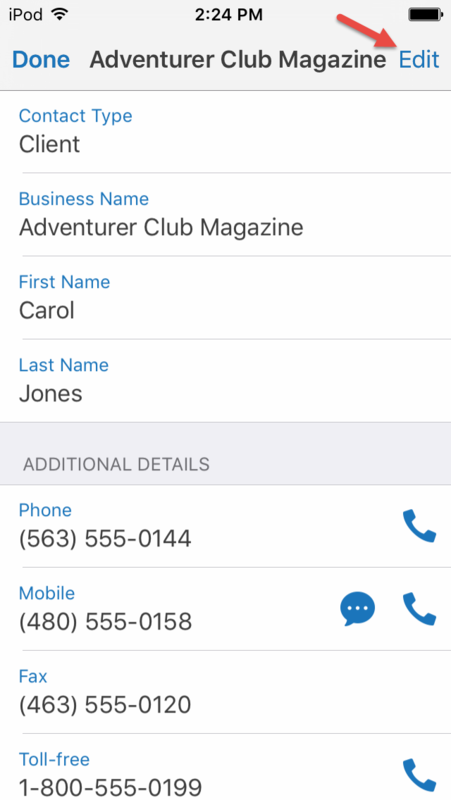 When you create an invoice, an invoice number needs to be generated syncing the iPad. 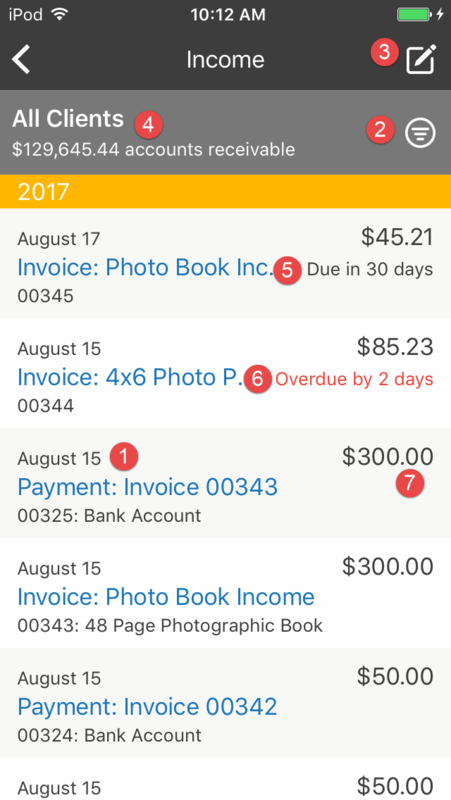 Once you’ve entered and finalized an invoice, swipe down on the transaction history list. 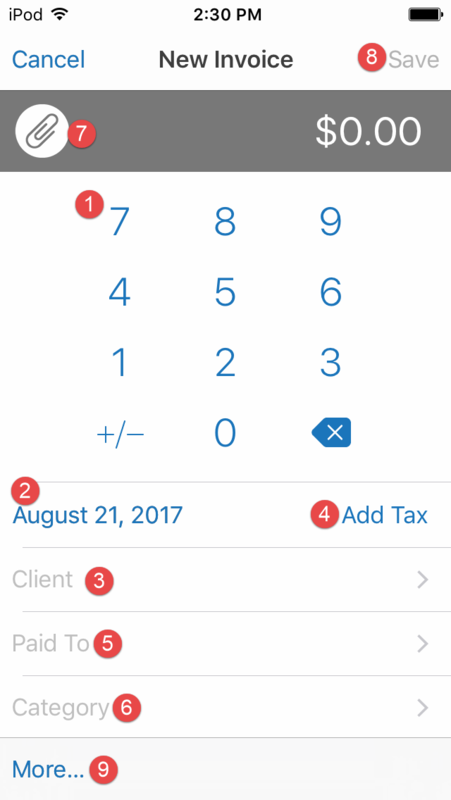 A sync will be performed, an invoice number generated, and now you can send the invoice to the client. You will see a preview of the invoice. If you like what you see, tap on the share icon again. 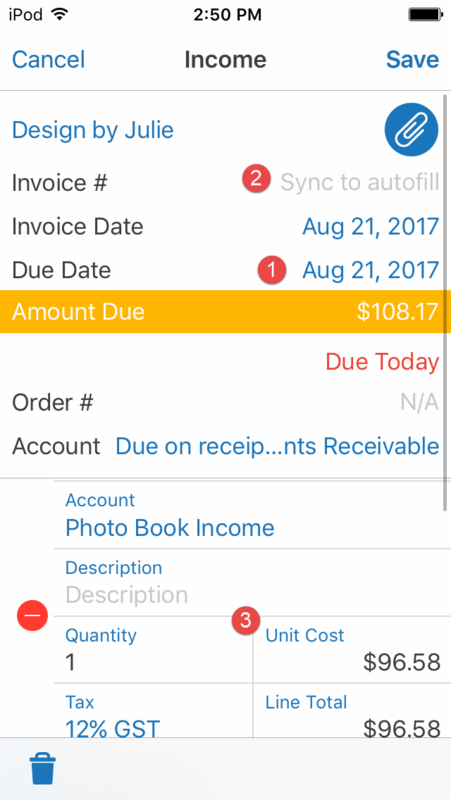 This will provide the options to AirDrop, Message, Mail, or Print the invoice. 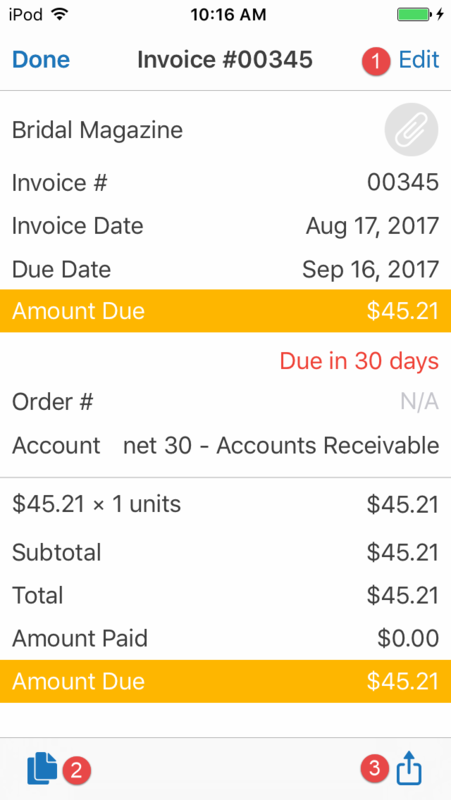 When you tap on Mail it pops up a pre-filled out invoice for you to send. Note: In order to print, you need AirPrint capability. There are 2 ways to receive a payment - Create a Payment or Add a Payment to an existing invoice.